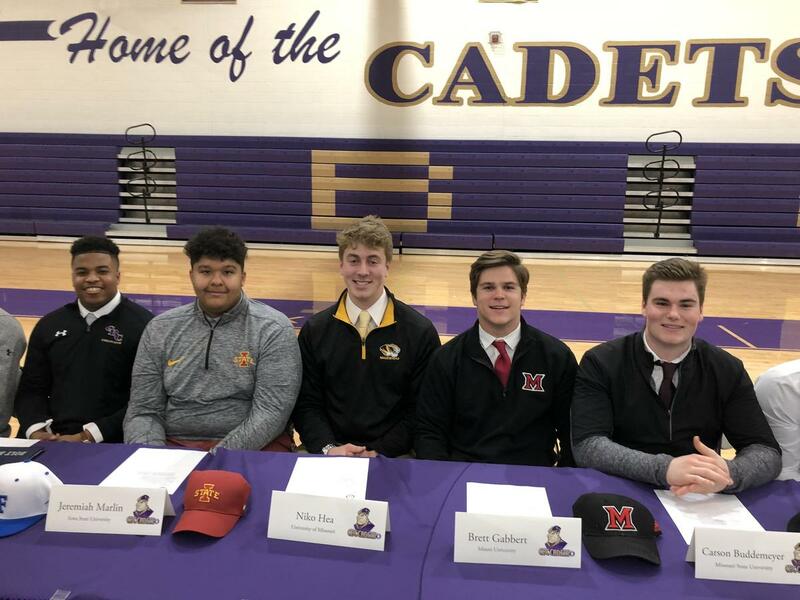 [February 6, 2019] Our school community is proud to announce that thirty student-athletes have made commitments to continue their academic and athletic careers in college. While at CBC, these young men have grown spiritually, served their community, received a premier education and helped lead the school to multiple state championships in athletic competition. The Cadet Student Network carried the event live, and you can watch the video on-demand by clicking HERE. The full list of student-athletes and the universities they will attend are listed below.